Many gay couples think about their opening up their relationships, but how many think about opening up their relationship with a woman? 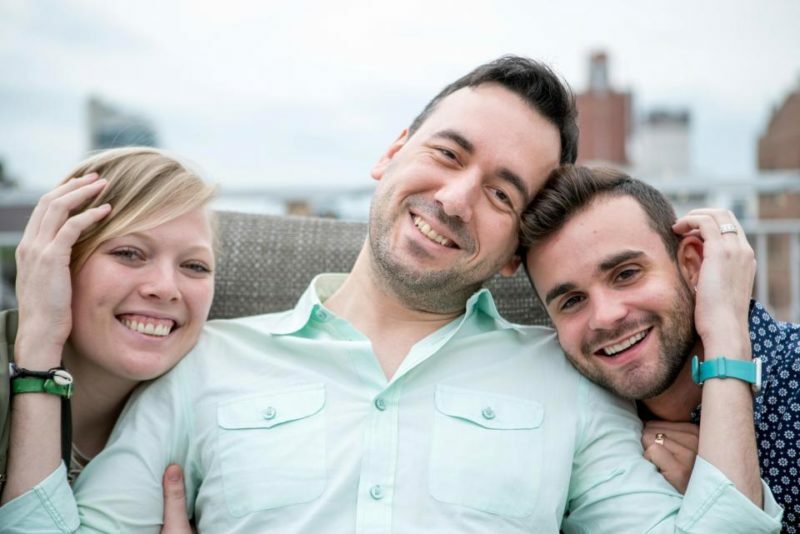 One couple decided to do that, and after identifying as gay all his life, one of the men in the relationship is now opting for a new term: homoflexible. Chris and Matt Brandt had been together for eight years. When they began exploring open relationship territory back in 2015, they opted to pick a woman to add to their couple instead of a man. In 2015, Chris met Cait Earnest on a dating app. Nine months into their relationship with Cait, Matt and Chris got married but they made sure Cait was an important part of their wedding. While Cait and Chris identify as bisexual, Matt is opting for another term: homoflexible.